A lack of housing stock on the market is the driving force behind a slew of record high asking prices in markets around the country. 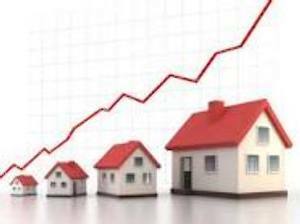 Realestate.co.nz’s latest data is out and it shows the national average asking price climbed by 3.3% on the previous month to reach a record high of $695,116 in January 2019. The property website’s spokesperson, Vanessa Taylor says this is the highest price they have recorded since they started collecting data 12 years ago. Back then, in January 2007, the average national asking price was $410,666. Eight regions’ hit all-time average asking price highs in January 2019 and this was the major driving force behind the new national asking price record. Those regions included three big regional markets: Otago (which was up 4.8% to $438,367), Wellington (which was up 1.5% to $656,926) and Waikato (which was up 1.2% to $589,262). But five smaller regions also turn in record asking prices. They were Gisborne (up 6.5% to $417,794), Nelson and Bays (up 7.6% to $686,963) Southland (up 7.4% to $332,051), Central North Island (up 7.9% to $492,622) and Manawatu/Wanganui (up 6.2% to $381,753). Taylor says these eight regions paint an interesting picture. Nationally, there was a 2.5% fall in the total number of houses for sale in January compared with January 2018. That left the total number of houses for sale across New Zealand at 24,878 in January. Meanwhile, the data tells a very different story for the Auckland region. While housing stock nationally was down year-on-year in January, in the Auckland region stock was up by 4.6% with a total of 9,081 homes on the market. Of these 9,081 homes, 2,420 were new listings, which is a 12.1% increase on January 2018. At the same time, the Auckland region’s average asking price remained flat: it was up by a mere 0.7% to $960,482, as compared to December 2018. Taylor says the Auckland market is favouring buyers with a fresh injection of new listings, a flattening in the average asking price and a slowdown in the time it takes for properties to sell.